"Oracle Tuxedo is a great product"
This user allows user to use applications to consume advertised services derived from C or C++ functions. I have been using it for a year now I have no problems with it. A very stable product with amazing support assistance. It is a very stable product, you should give it a try. The servers clusters are easy to use and connect to. A number of services are included that help with product stability. Price may be a little steep for this software. Like project planning and maintenance. The manual or documentation for using Oracle Tuxedo may not cover everything. It is also hard to find some of it on the internet. Oracle needs to supply better documentation and manuals so that using the features can be used to the fullest. Oracle Tuxedo also lacks a monitoring tool to notify the users if there is are some important alerts bring posted. I would recommend buying this product if you have a number of server instances running and need a product to manage them, additionally it has some awesome features that you can check out. The price for purchasing the licence is a little steep though so keep that in mind. I use it for API development along with business logic and data administration. Overall it is I use it for financial projects consisting of complex business projects. Oracle Tuxedo helps to come up it business strategies. Its a rock solid Middleware product. I like it best and have been working with it since past 4 years or so. I never had any implementation issues during the production. The customization is even more easier with out custom scripts. Wonderful support from Oracle is a plus. Its rock solid stability is a plus and I like it software a lot. Nothing as such to dislike. But it would be great if this is brought into much more light like oracle weblogic. But nothing negative as such. Not more development for this product by Oracle. Oracle should review this software for more features and development. All the business transactions from Weblogic to DB are routed through the tuxedo. They are fast reliable and easily traceable. "Useful tool for implementation of service oriented transactional applications"
The cleverness of the service advertising feature, allowing for client applications to consume advertised services derived from C functions. Given the fact that it is not a recent technology it is sometimes very hard to find adequate documentation and solutions for common problems in developers' forums. If a transactional model implementation is what you're looking for in your application Tuxedo might just be the way to go. Especially if you're working in an industry in which security and privacy are important assets. Fulfilling the need of a fast and effective tool for implementing a transactional model in financial services applications. Tuxedo is a reliable and trustworthy tool. Amazing load balancing and top-tier security is what attracted me to use Oracle Tuxedo. Also,it provides a way for trained business users such as Healthcare Company Users to enter a large amount of data, invoke functions, achieve results with a quick turn around time. The only thing I dislike is that it becomes very hard to find adequate documentation and solutions for common problems. It is a fast and effective tool for implementing a transactional model in financial services applications. "7-8 years cont. woked on this product and love this product." open APIs to develop business logic and administration of overall application. No frontend to monitor inside. 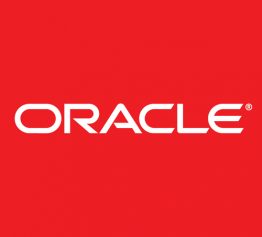 After oracle acquisition focus has been loosed by oracle to enhance this product. when product with BEA they had dedicated focus in support and technical service which seem lost after acquisition. Oracle has to put more focus to improve this product and align with new technology direction. Complex business logic problems in financial and accounting projects. Processing business logic in efficient way where time of fraction matters in overall transaction processing. "I have 9 years of experience with this product, even before the Oracle acquisition"
We have it for 24/7 availability and the product serves the purpose with very minor or no issues in Testing and zero issues in Production environments. Stability is one of the main reasons that I liked this product. Oracle support is lame for this product and no enhancements have been made by Oracle after the acquisition of this product from BEA. You can rely on this product for stability and high availability. Good feedback from customers regards SLA. We switched from Oracle and I’m so glad that we did. I would not recommend/say that I like anything about this product. I’m not a fan. There are some programs out there that just don’t have a good user interface and this is one of them. "My summary of 4 years of experience of Oracle Tuxedo development and support"
Very robust system with many features to insure 24/7 availability and fault tolerance. Horizontal and Vertical scalability can be achieved by increasing the number of service instances or the number of servers in a cluster. Product support is generally good, cases are resolved at timely manner and with good quality. Separate licensing is required for complementary components such as JOLT and SALT. The license and support price tag is comparably steep. Distributed transaction coordination. 24/7 availability. Fault tolerance requirements. "I work with this product on a daily basis and love this product"
Oracle Tuxedo is pretty stable after implemenation. I find it extremely easy to manage. Oracle have not much documentation for issues which we encounter. there should be some documentation for all the issues with error codes. "ATT then BEA then Oracle"
* We monitor all Oracle Tuxedo reviews to prevent fraudulent reviews and keep review quality high. We do not post reviews by company employees or direct competitors. Validated reviews require the user to submit a screenshot of the product containing their user ID, in order to verify a user is an actual user of the product.